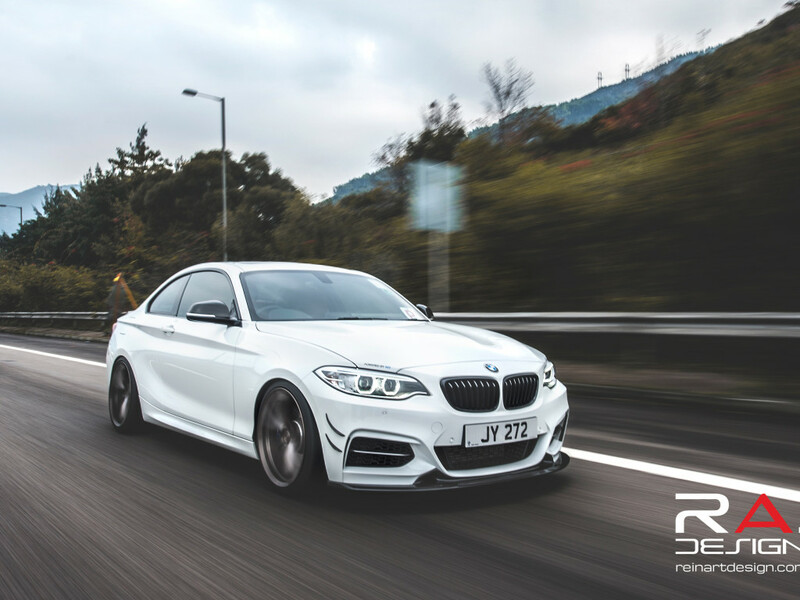 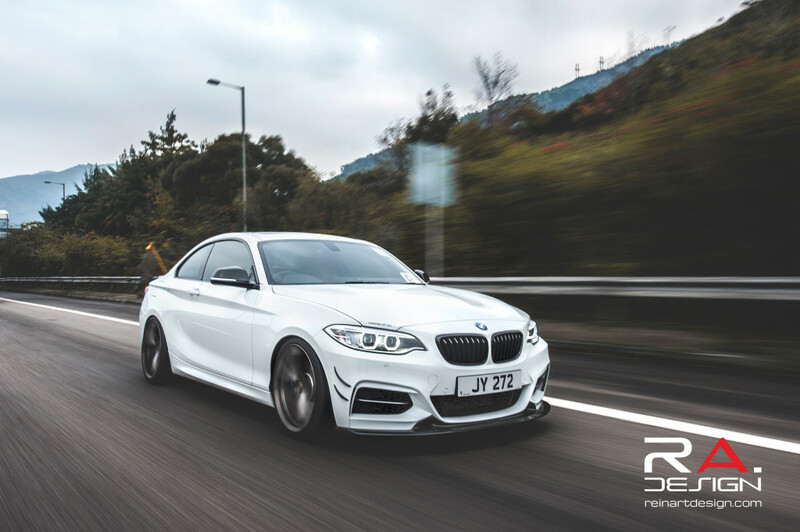 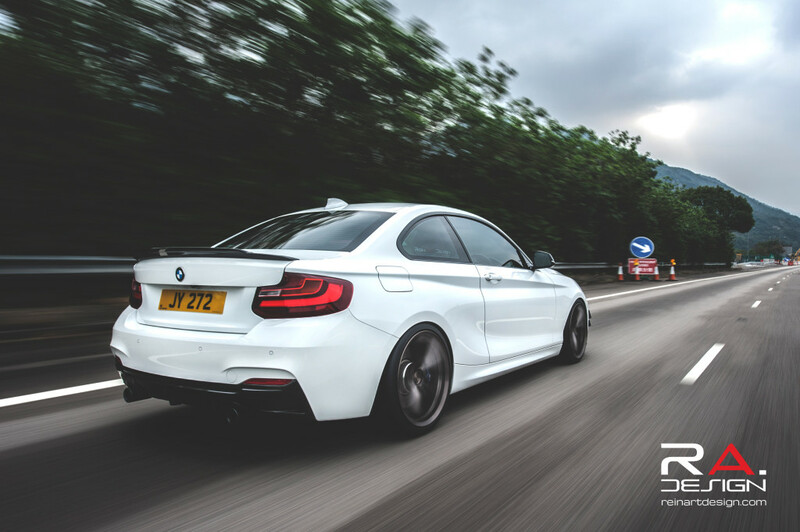 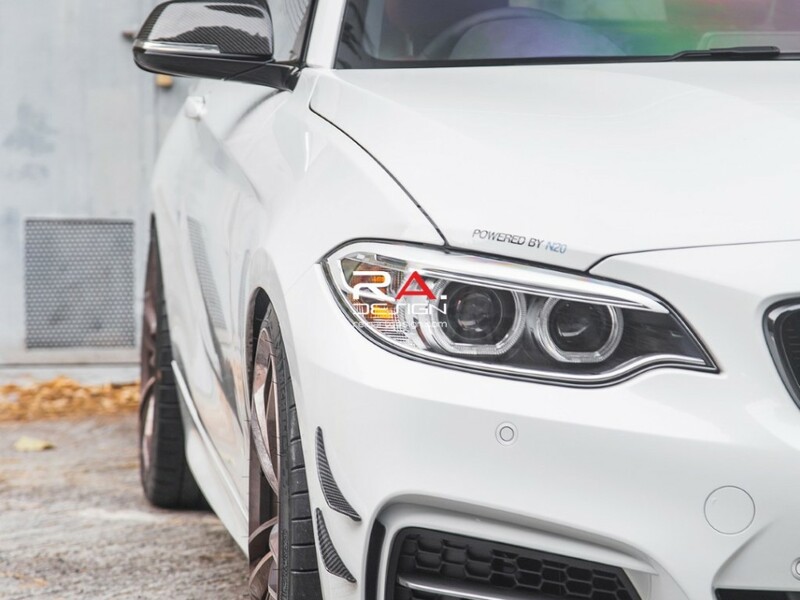 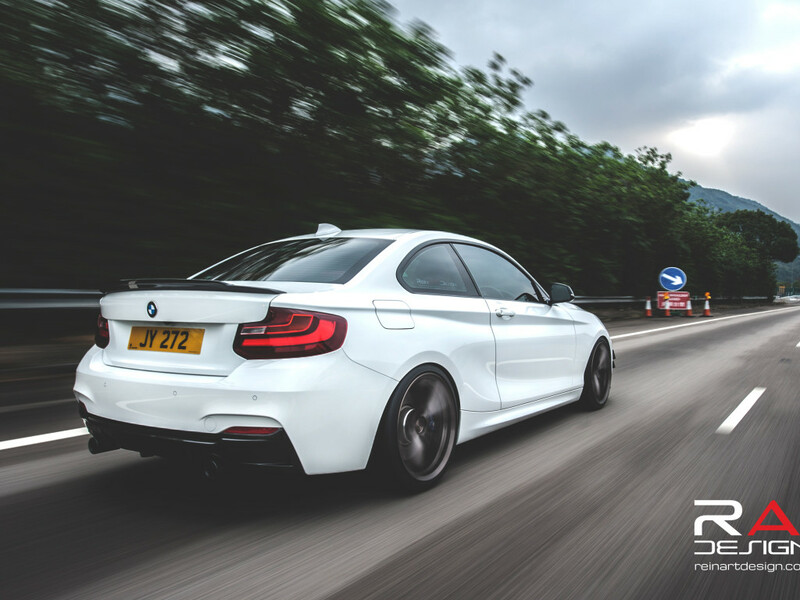 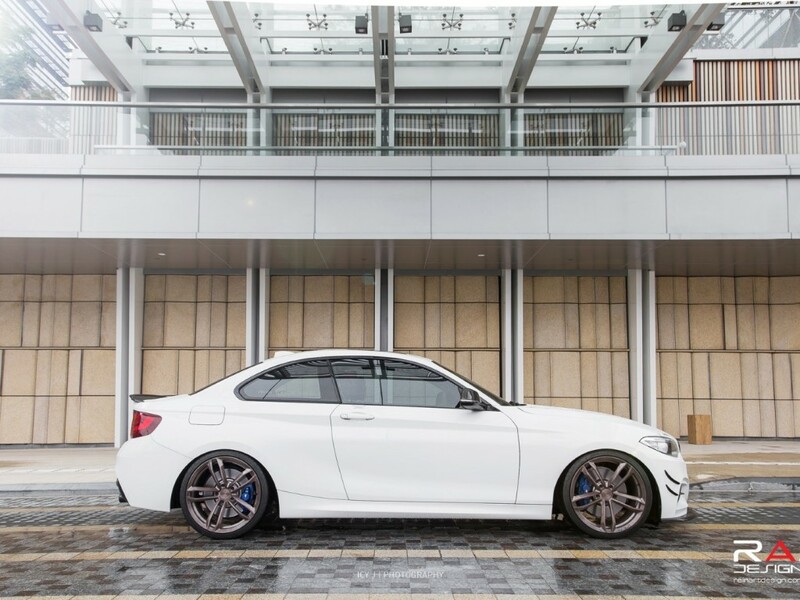 When we first came across this customers F22 BMW 220i M-Sport, it looked like any other 2-series coupe that regularly goes unnoticed. With the original 17″ wheels and stock suspension height, it had nothing to draw attention to. 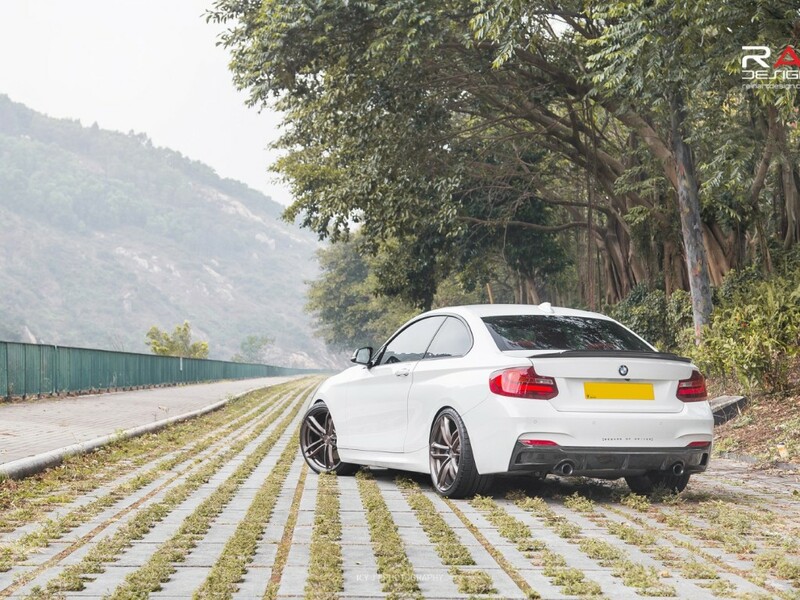 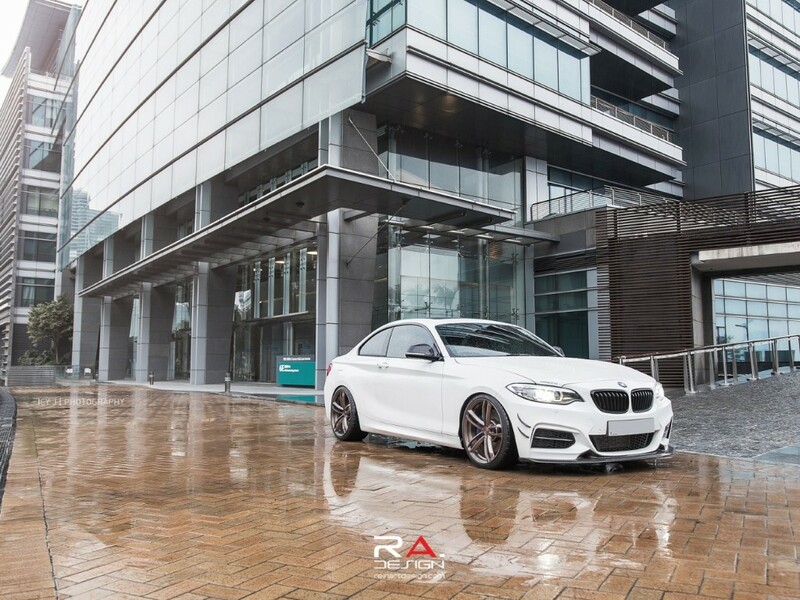 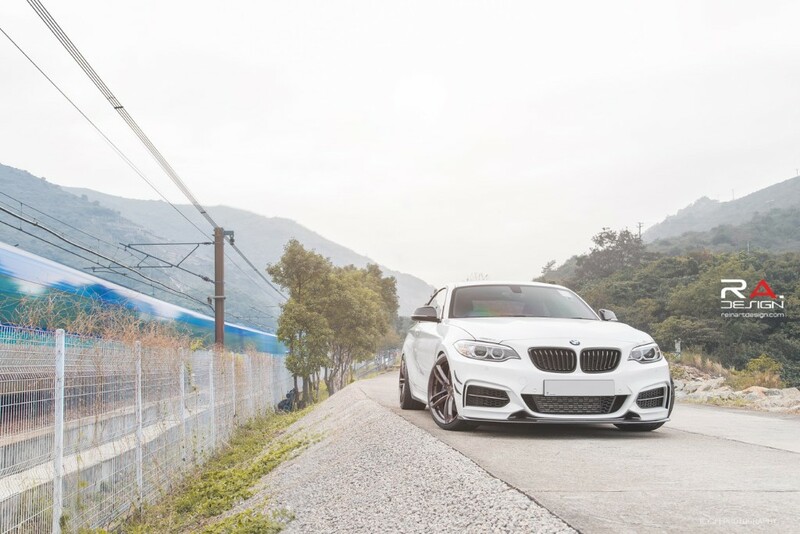 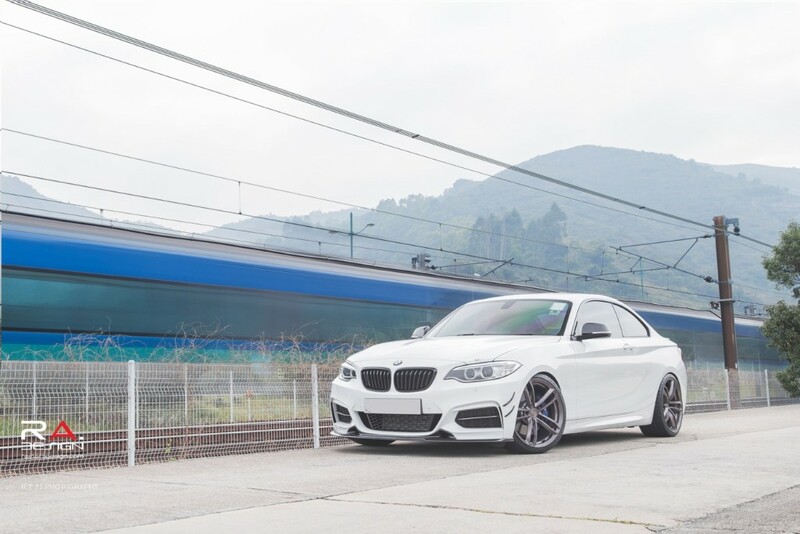 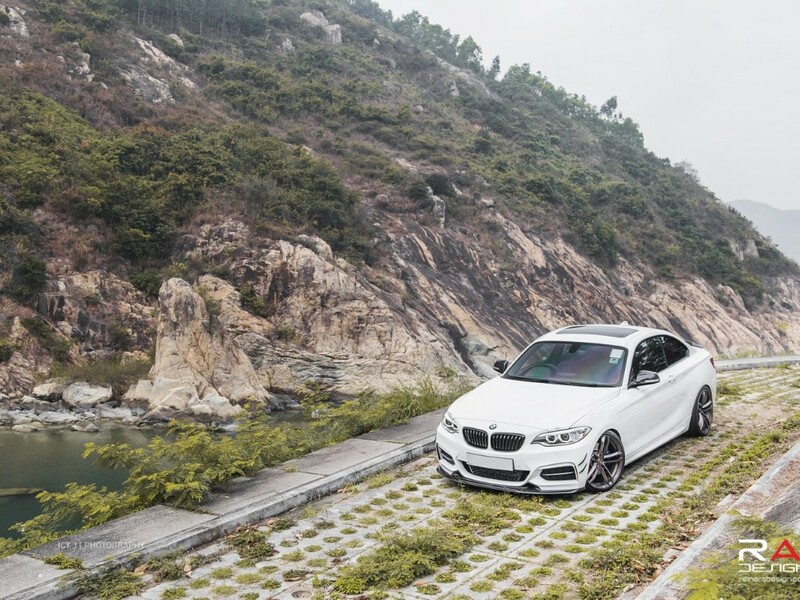 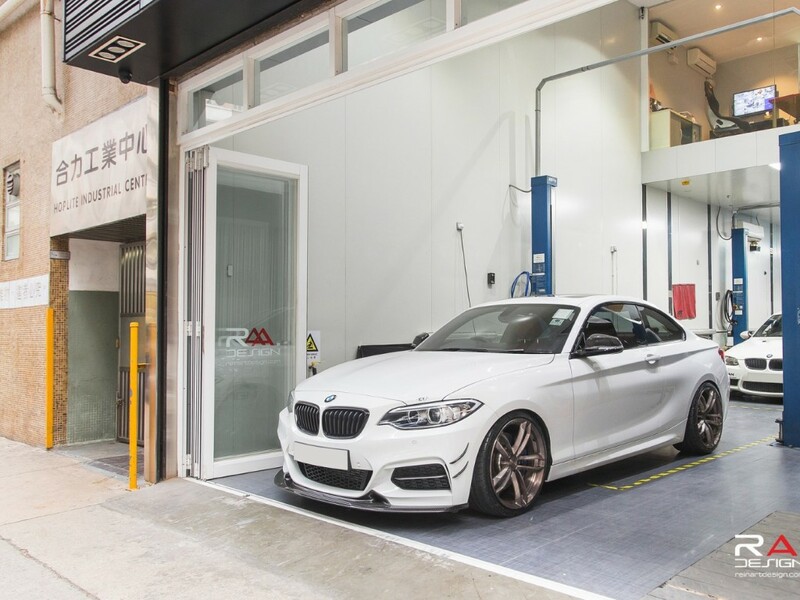 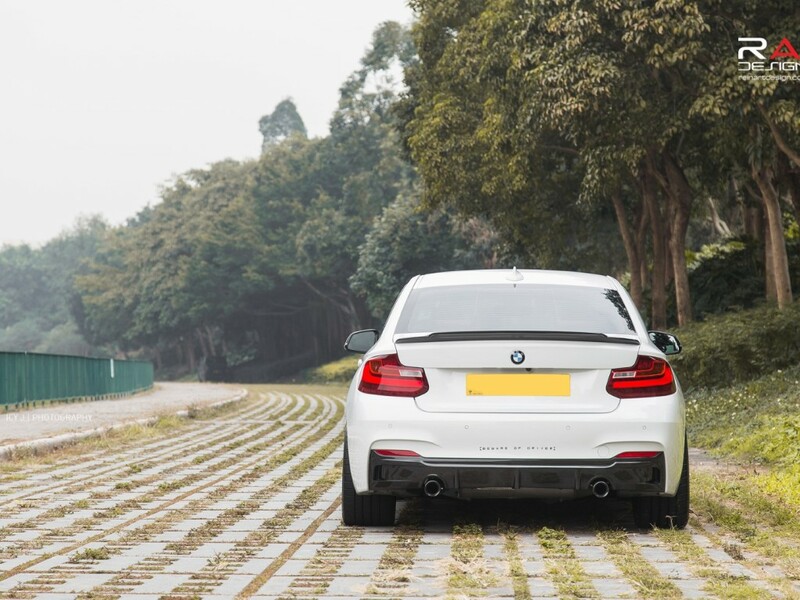 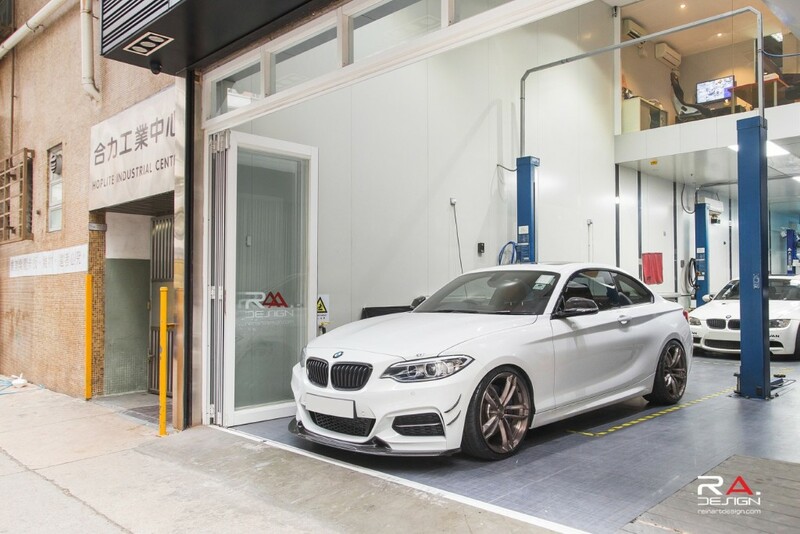 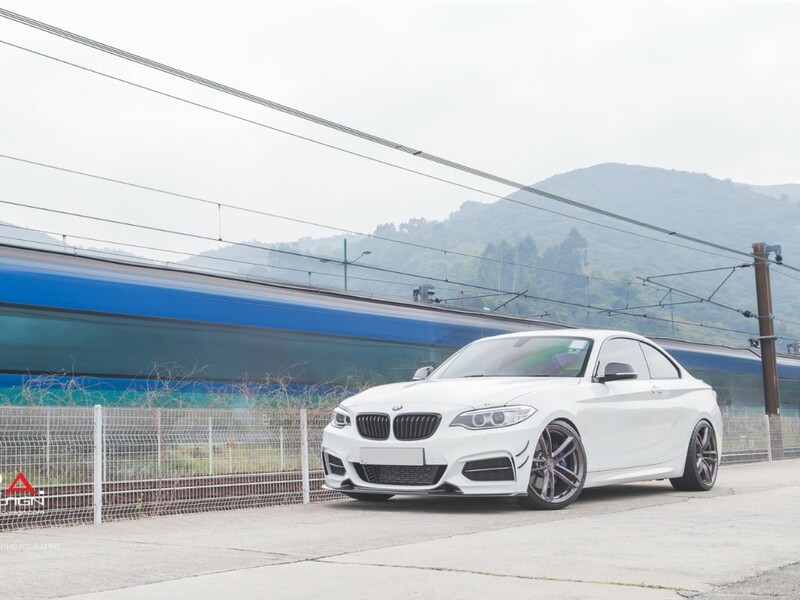 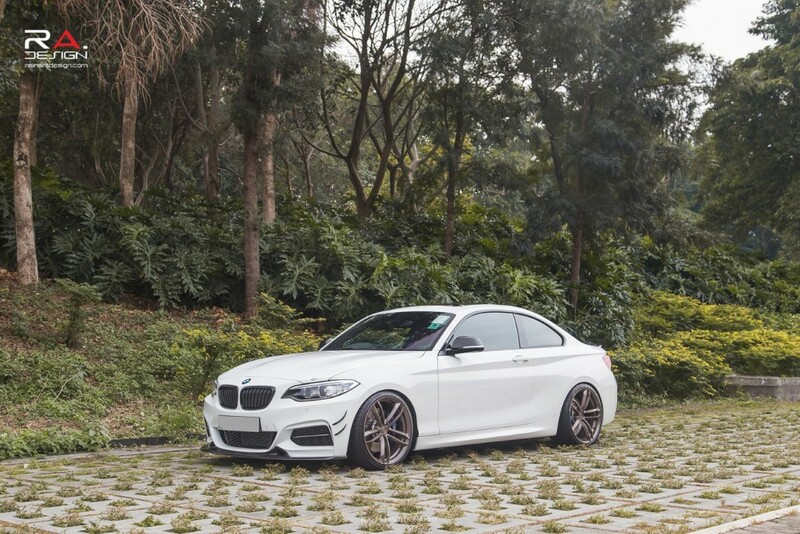 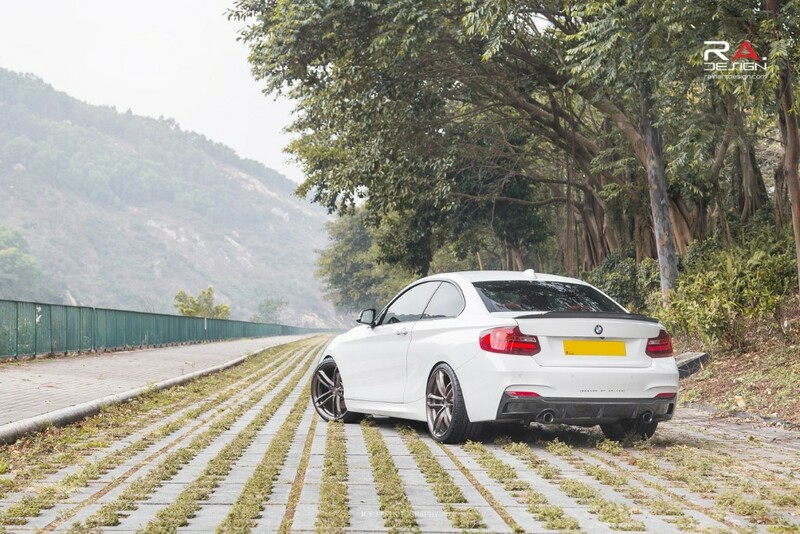 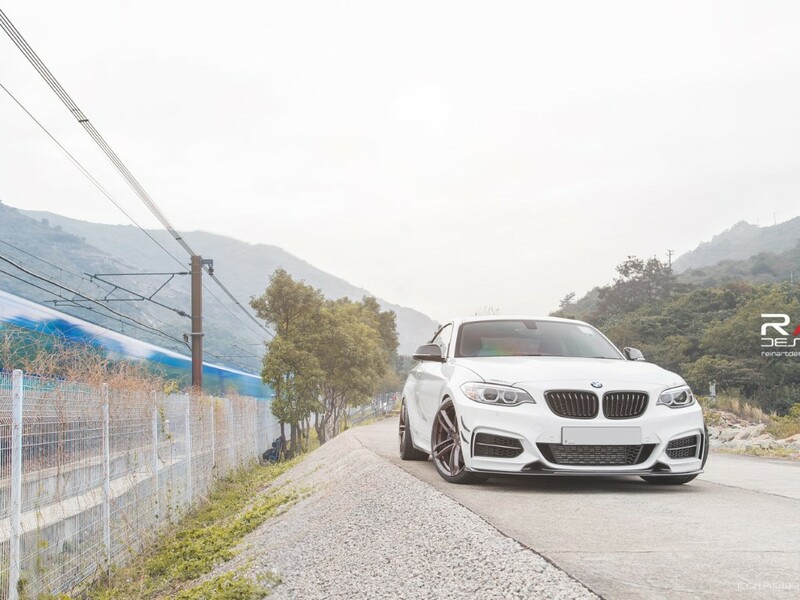 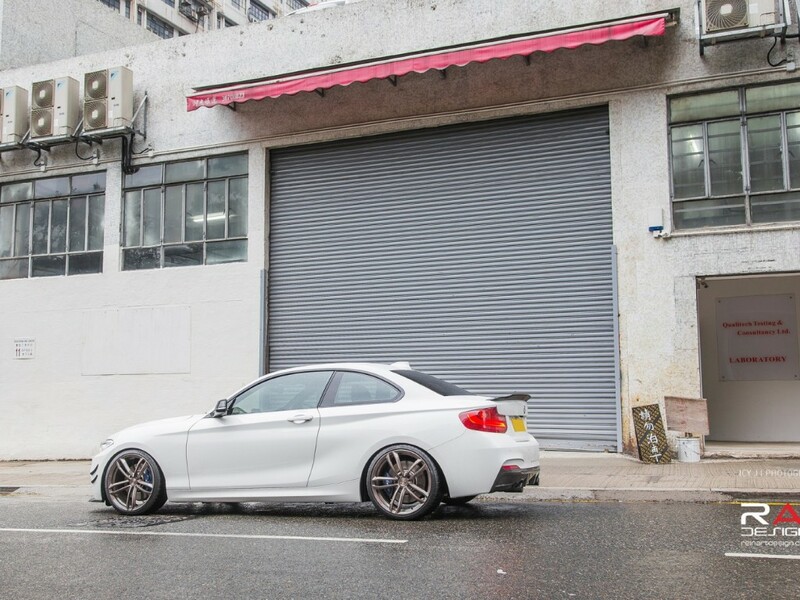 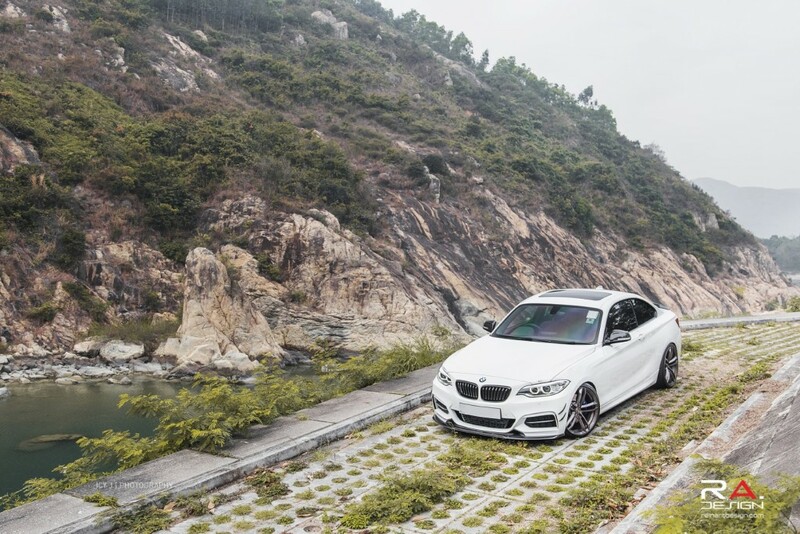 For this customer, we wanted to help the car stand out amongst the sea of other stock BMW’s in Hong Kong. 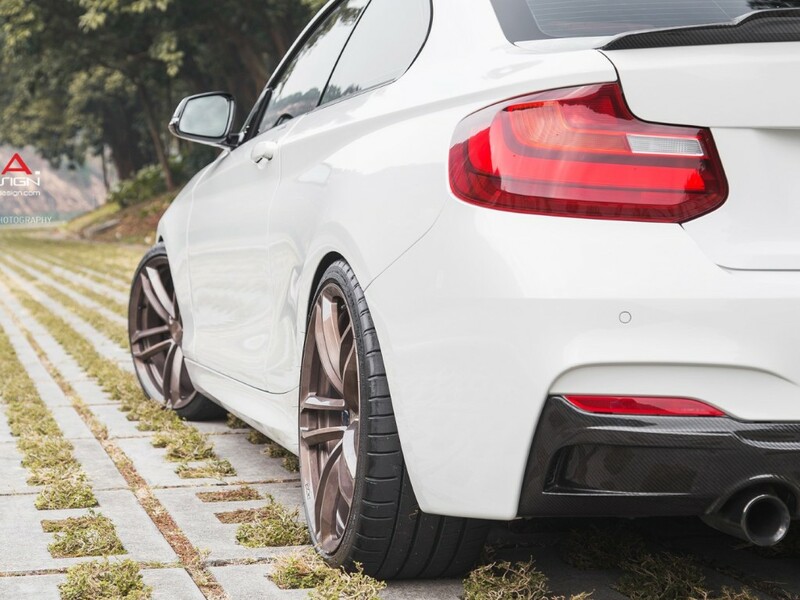 We strongly believe that any car can be modified to look amazing. 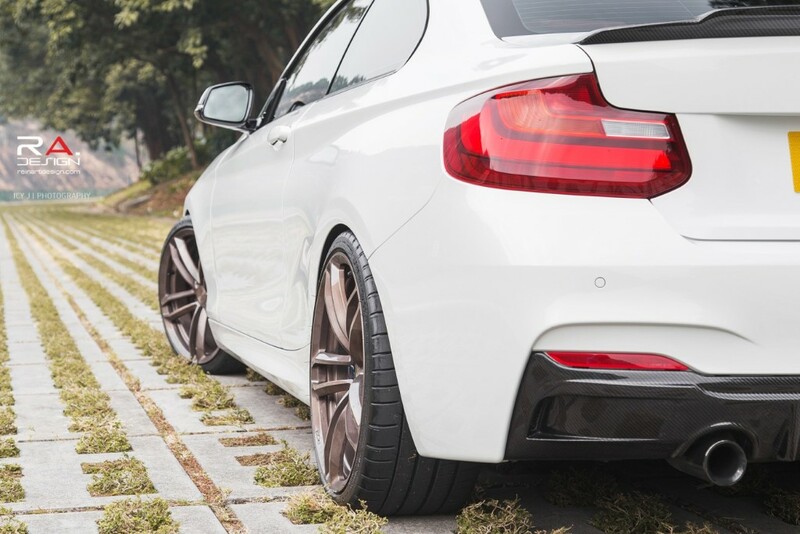 The most important part to making any car look great is by having a properÂ stance. 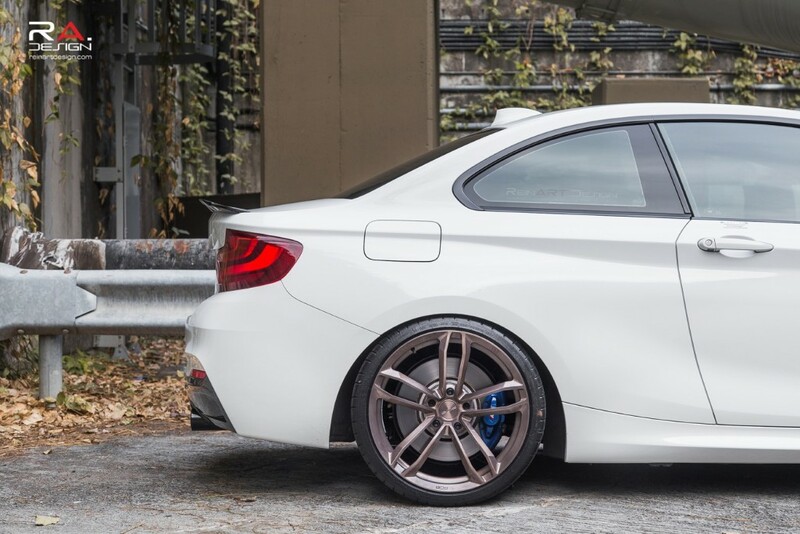 We dialed in the perfect ride height with a set of height adjustable KW V1 Coilovers. 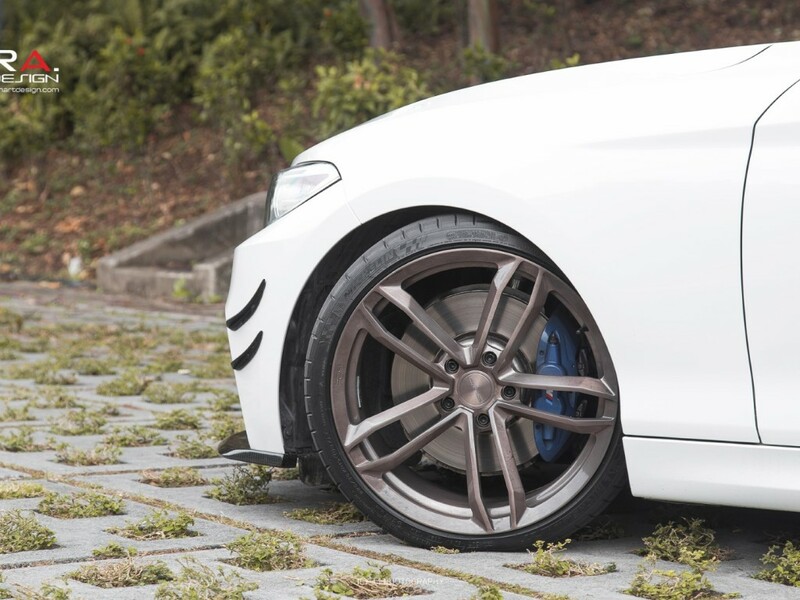 After finding the right stance for the customer, we tied it all together with a set of 19″ PUR RS07 wheels finished in Gloss Charcoal Bronze. 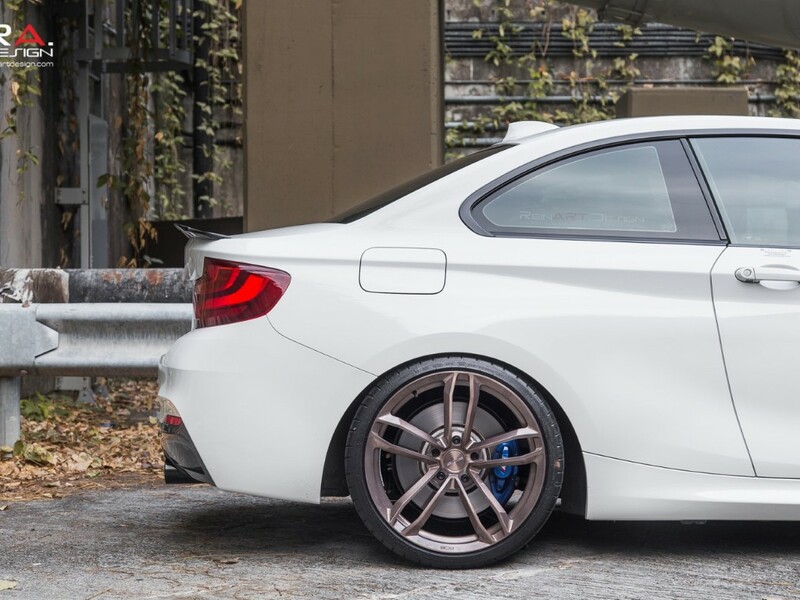 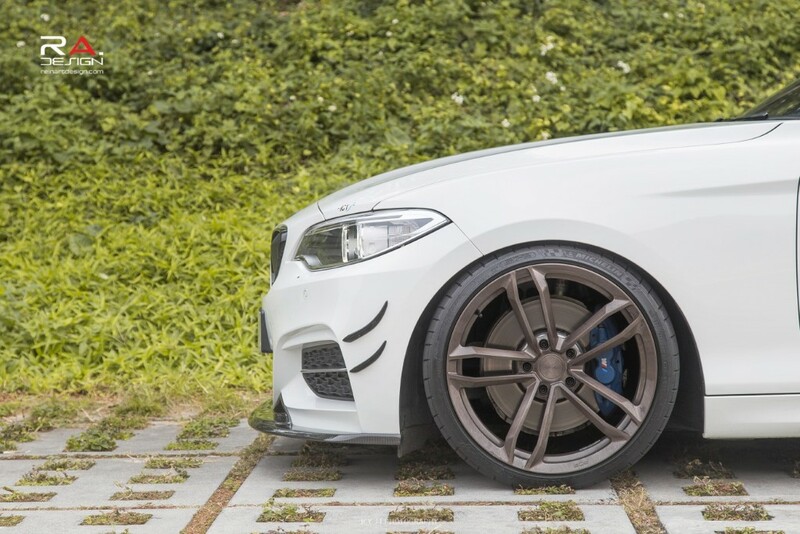 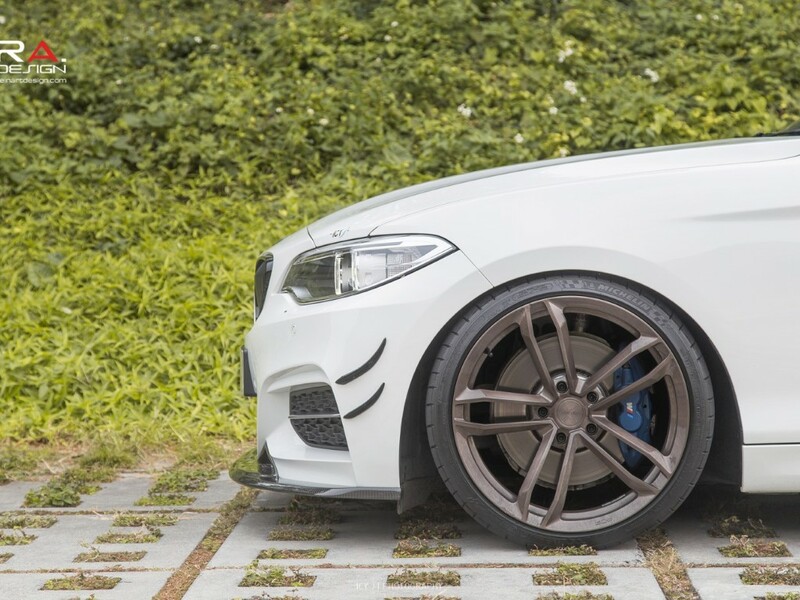 The wheels measure 19×8.5 in the front and 19×9.5 in the rear. 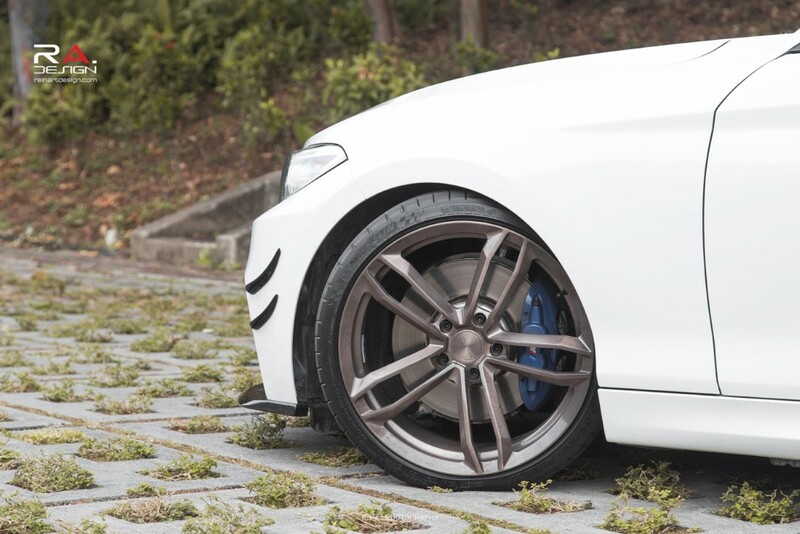 With our custom offsets, we were able to pull the wheels flush with the fender giving the car the most aggressive look possible. 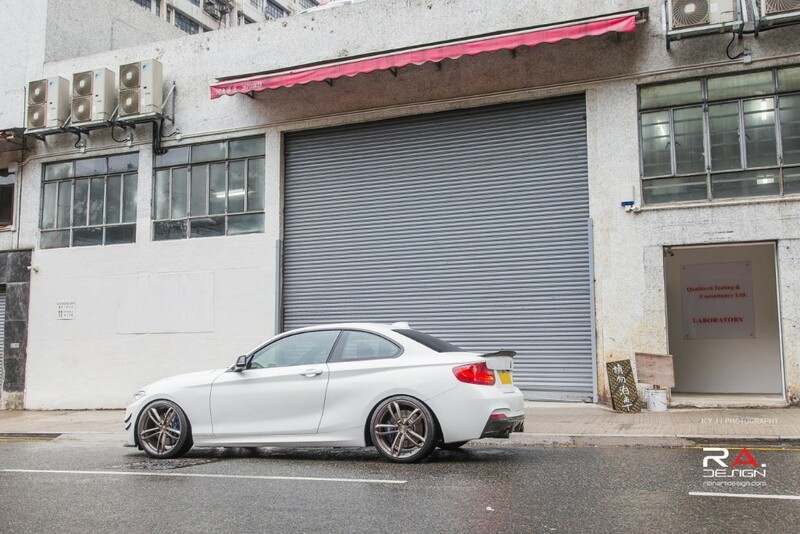 Body styling wise, the car was fitted with a Exotics Tuning carbon fiber front lip, rear diffuser, mirror caps and rear boot spoiler. 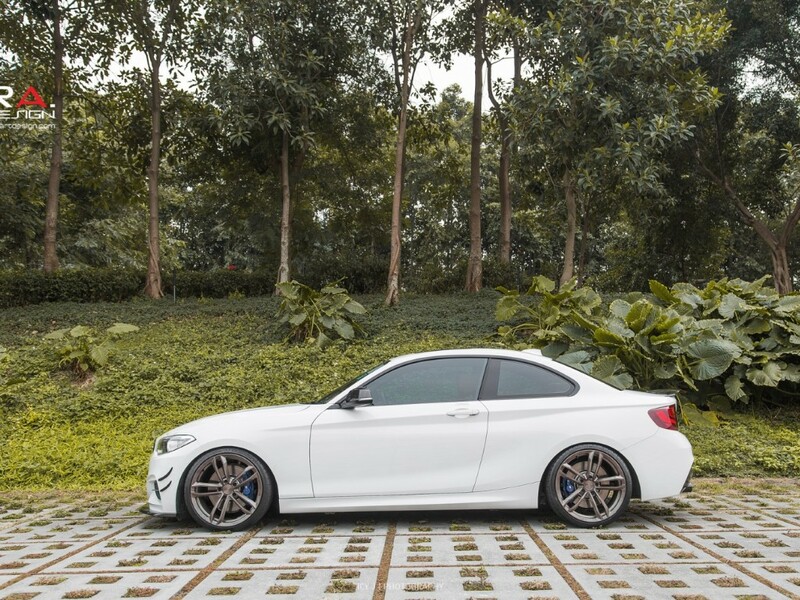 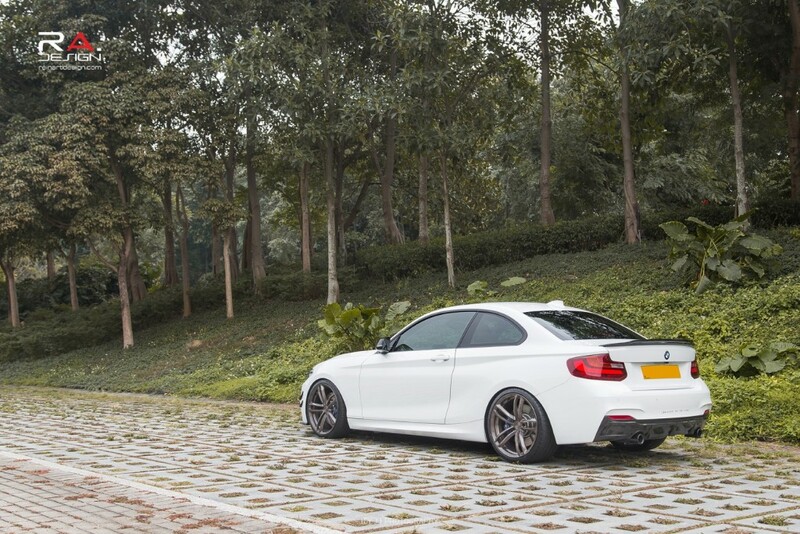 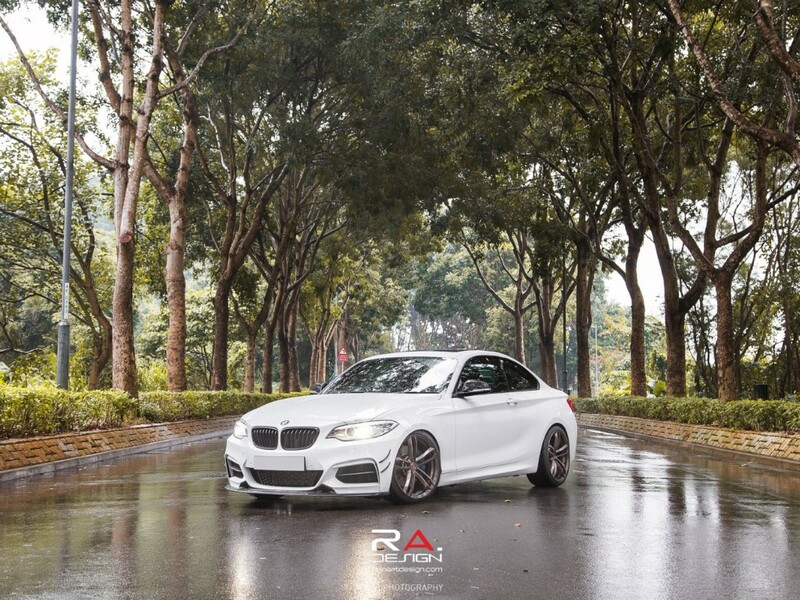 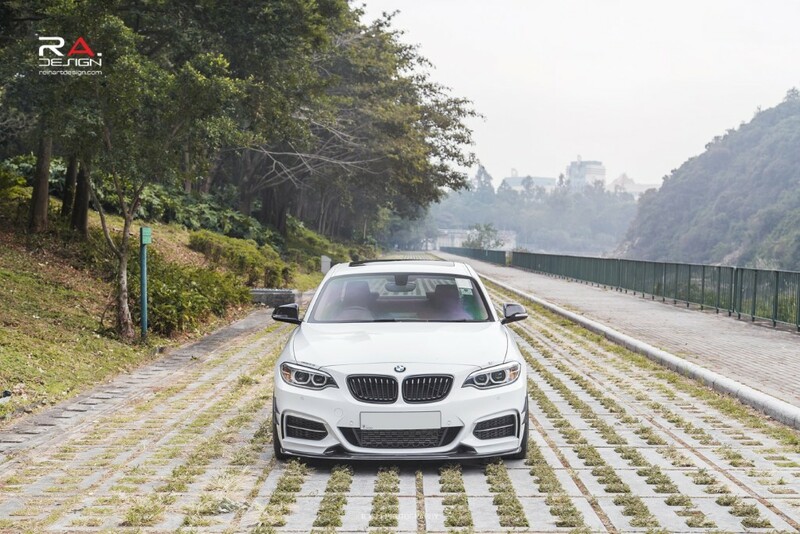 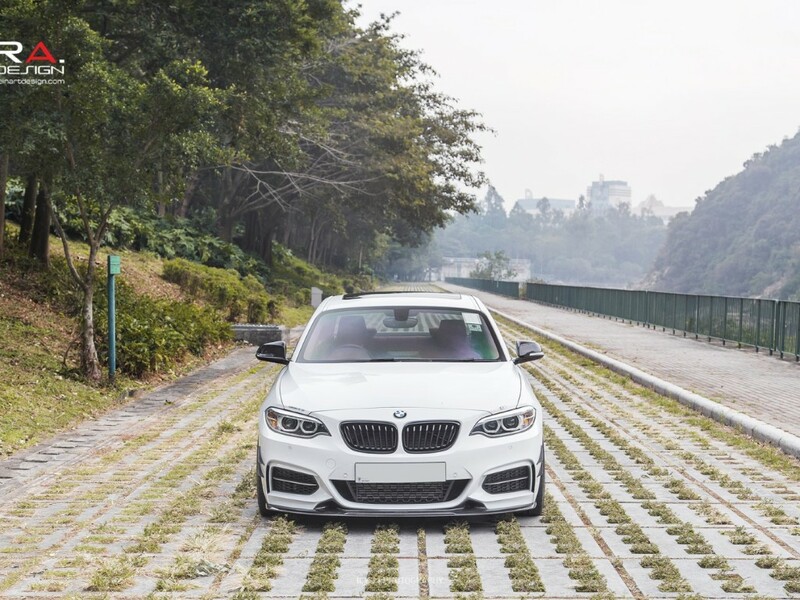 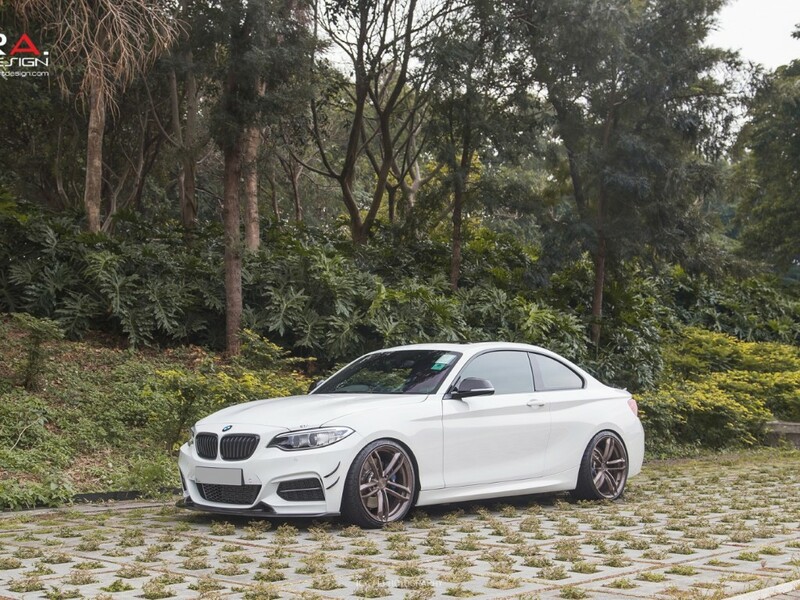 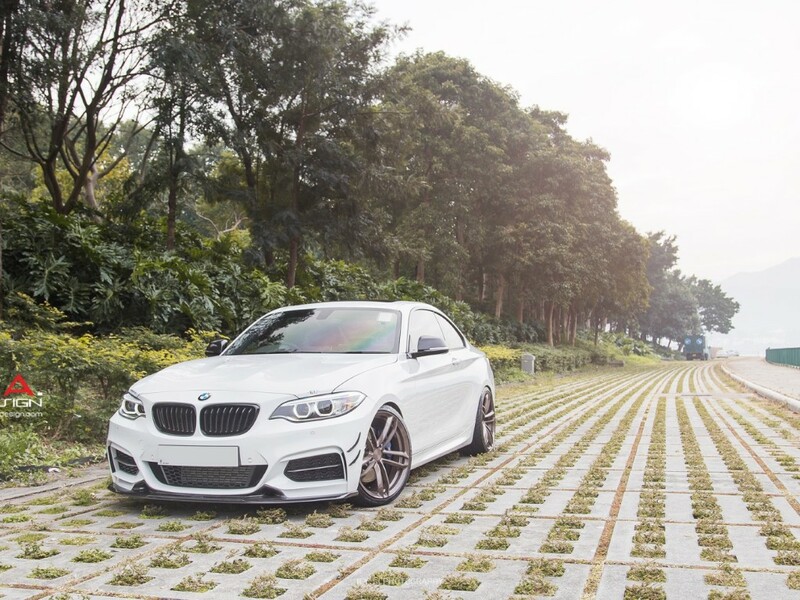 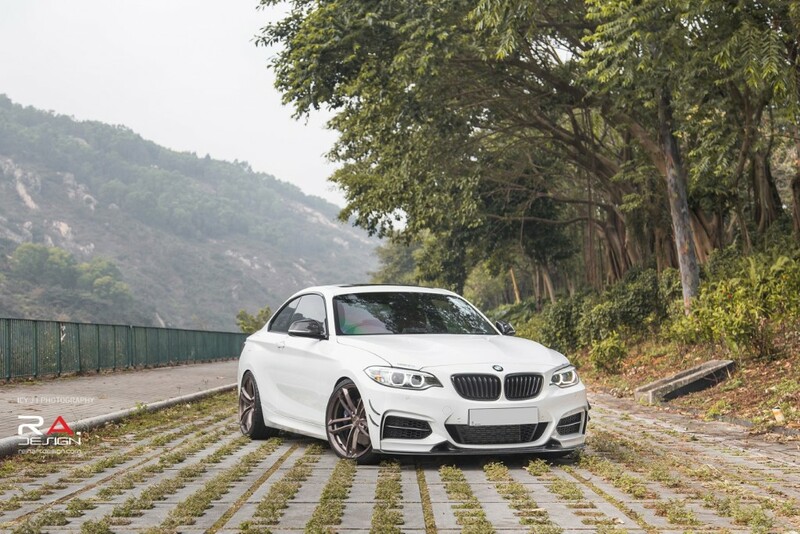 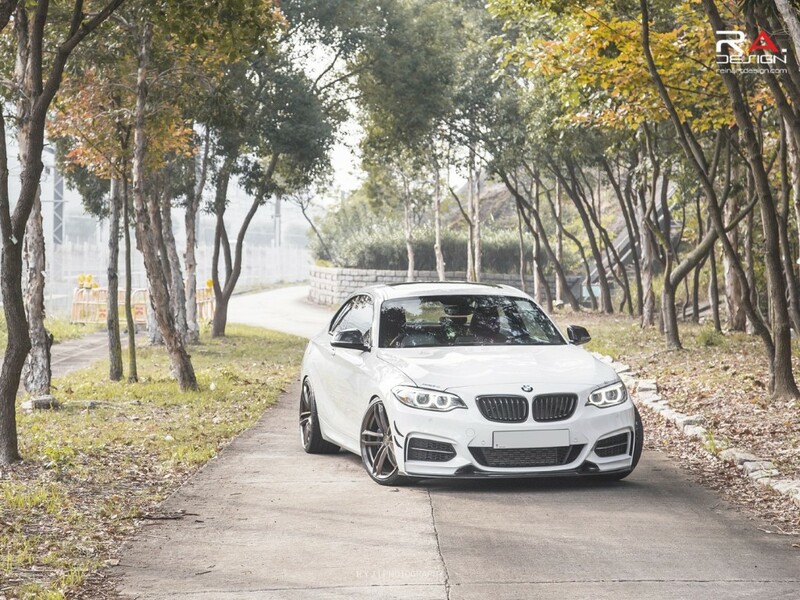 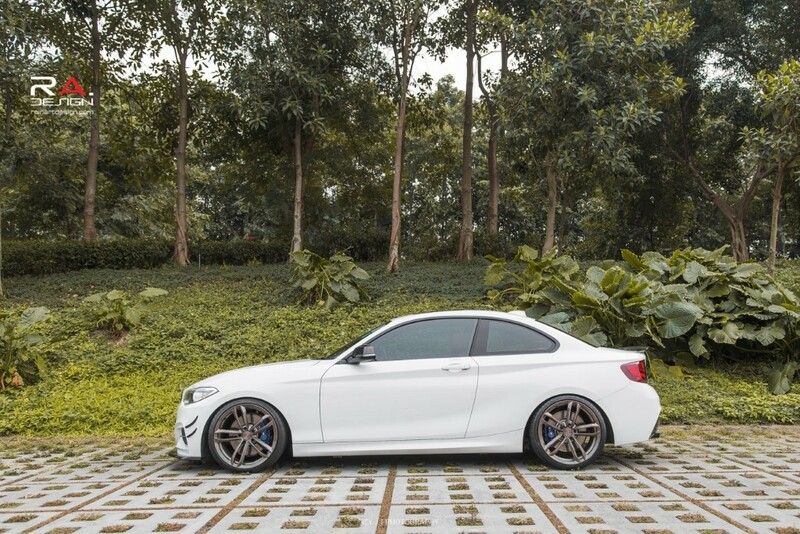 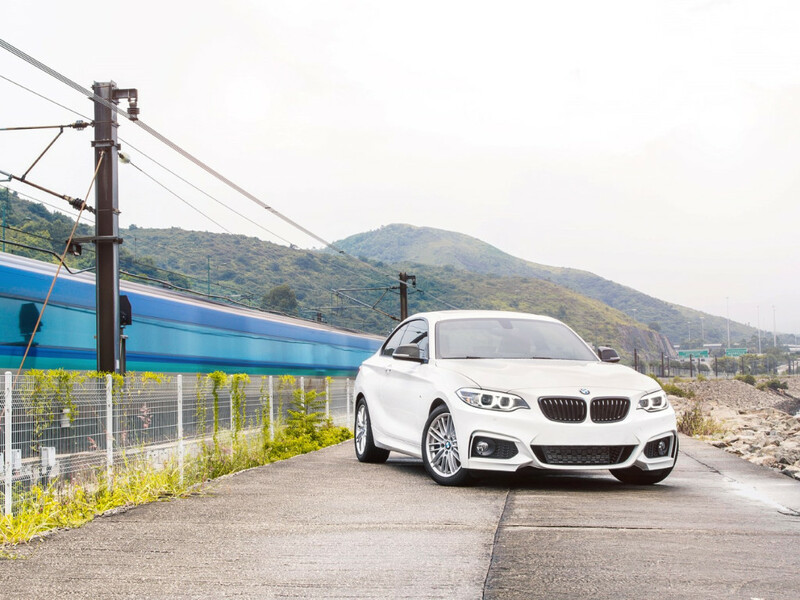 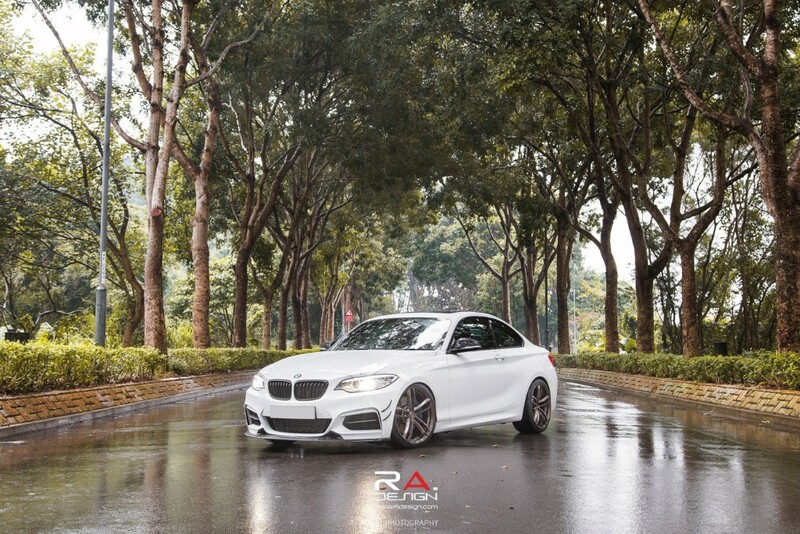 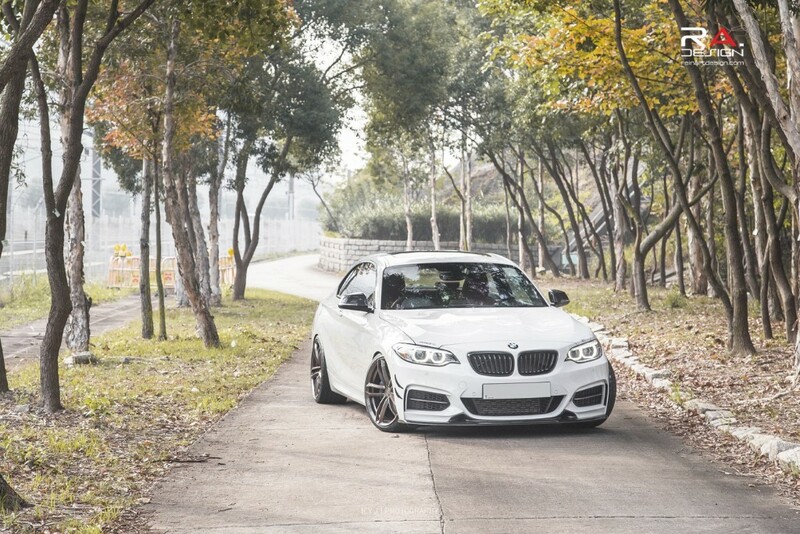 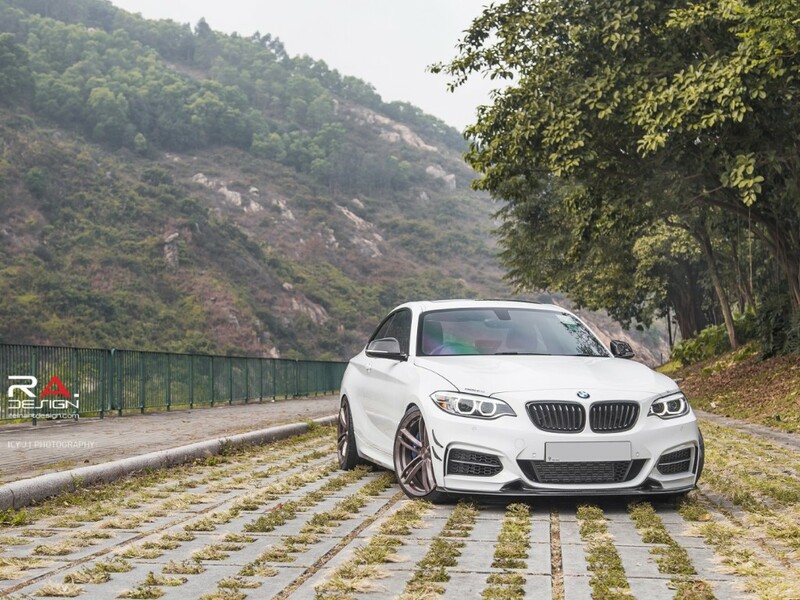 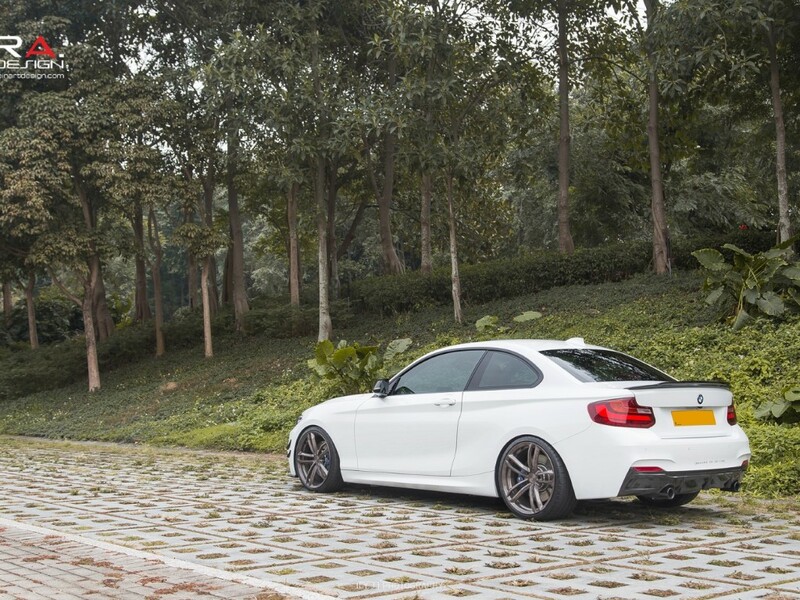 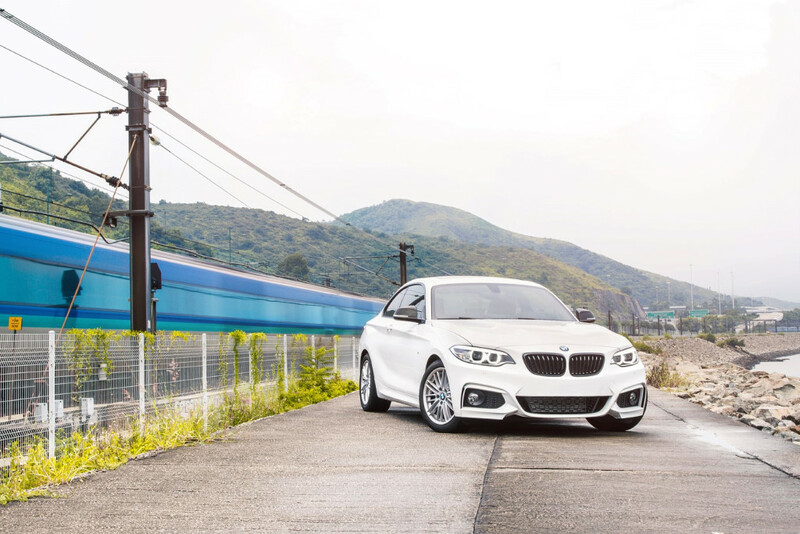 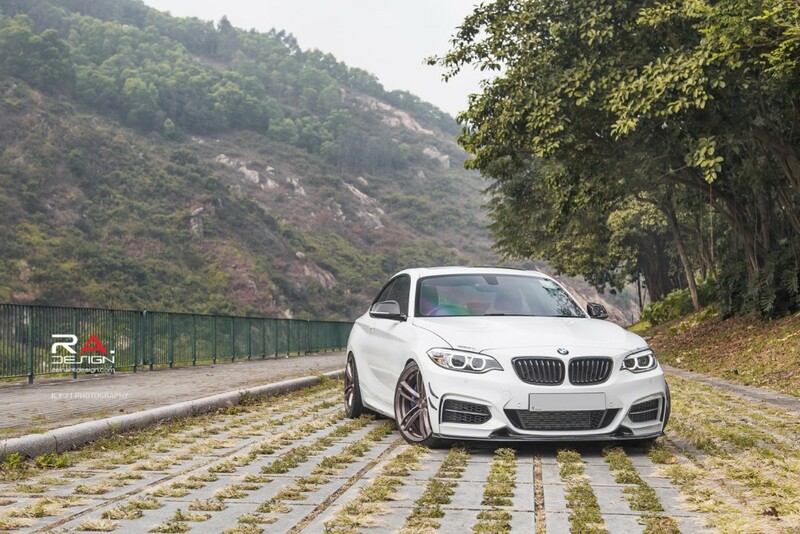 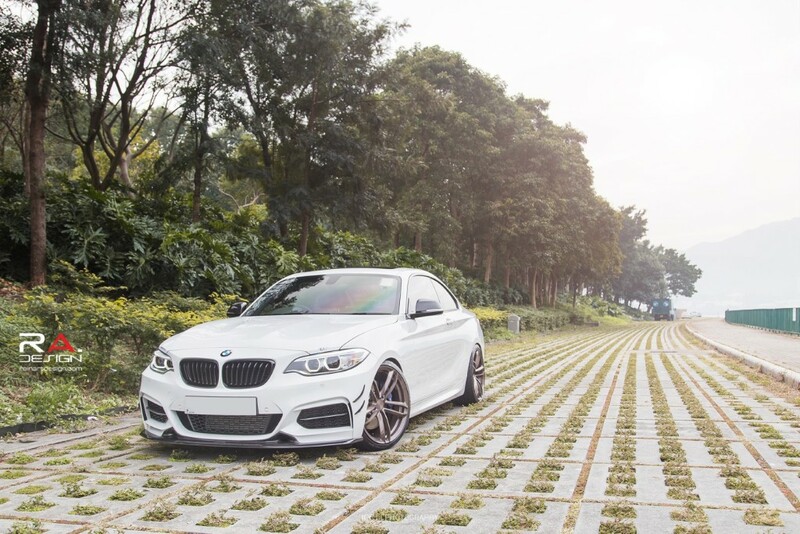 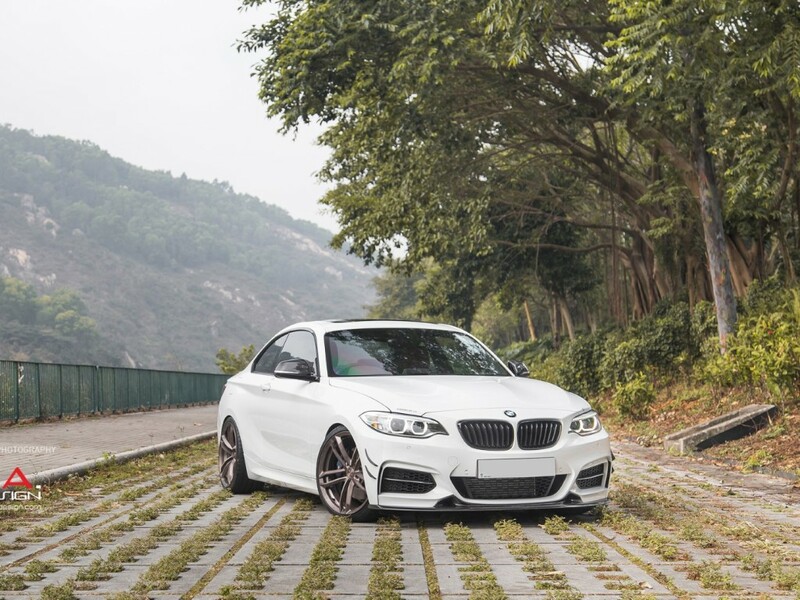 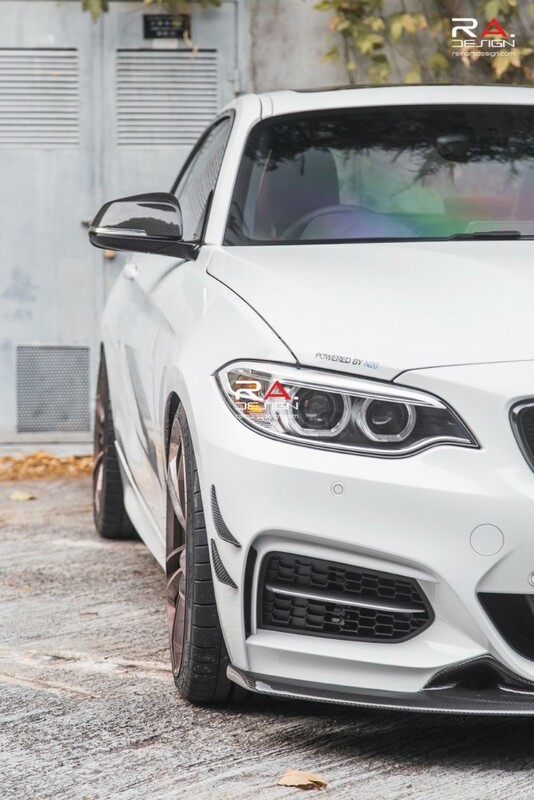 Replacing the factory fog light grills are a set of M235i grills. 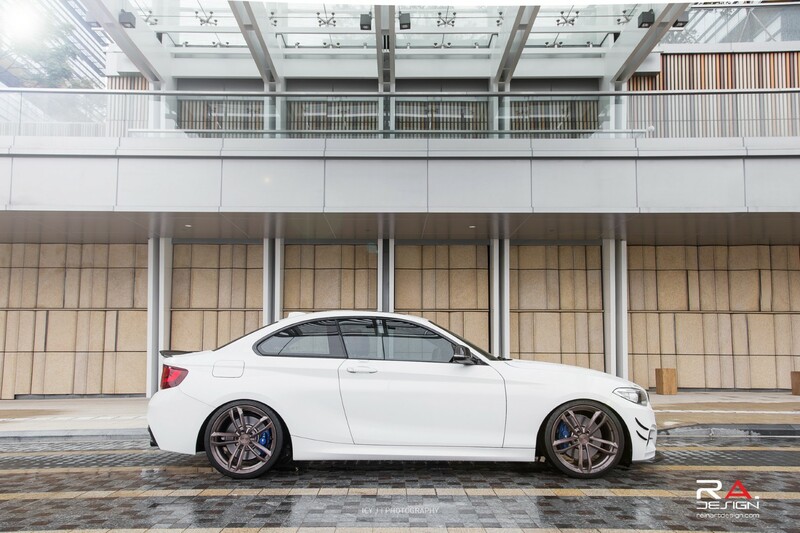 Check out the full photo gallery below. 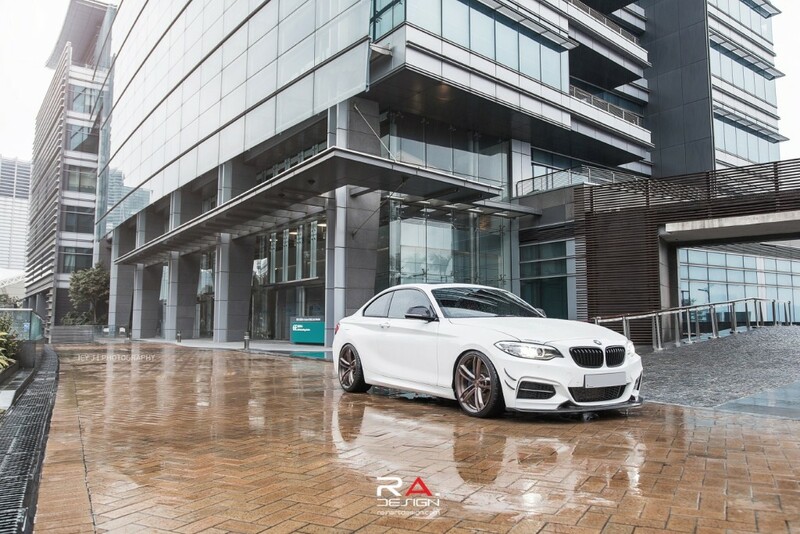 Thanks to Icy J Photography for the amazing photos.